Shoplifting is a crime of opportunity. Remove the opportunity and you remove the possibility. This program is geared towards showing you how to remove the opportunity that cause shoplifting to take place in your stores. Using frameworks such as the ‘Rationale Choice Theory’ and the ‘Crime Prevention through Environmental Design’, the course walk you through a step by step process for designing shoplifting out of your stores. Everyone intending on committing a crime weighs the benefit against the cost and the difficulties of committing the crime. 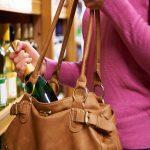 The easier the individual perception of shoplifting in your store, the more likely they are to attempt it. The more difficult you make it for them to steal from your store, the less likely they are to attempt it. The most effective strategy for shoplifting prevention is the design and management of the store in order to reduce the opportunities for shoplifting. This course is centred around showing you how to create a shoplifting free zone in your store. The Most Effective Retail Loss Prevention Strategies On-Demand Training £27.